After the warriors of the Heroic period of the Trojan Wars came the Greek hoplite: a farmer turned soldier trained in the art of phalanx warfare. From 500 BC to 400 BC, the hoplites ruled supreme on the battlefield, fighting in classical Greece’s most memorable conflict. From the battles of Thermopylae to Marathon and Plataea to the Peloponnesian Wars, hoplites decided the course of empires. 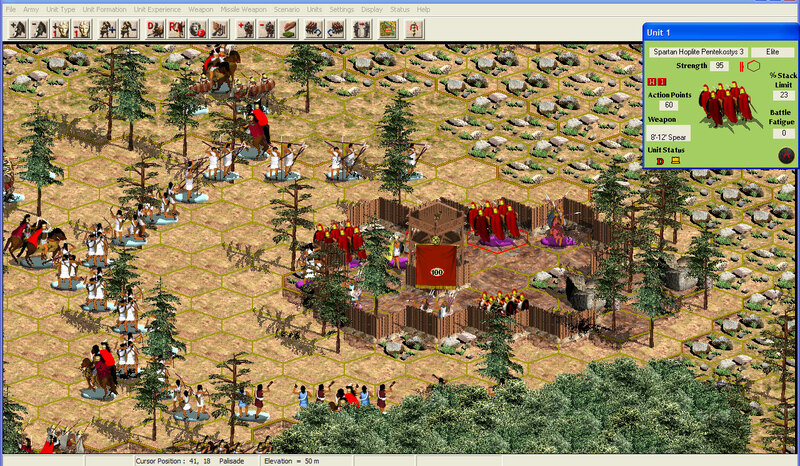 HPS Greek Wars brings this era to computer gaming, with a full panoply of scenarios of Greek versus Persian and Greek versus Greek. 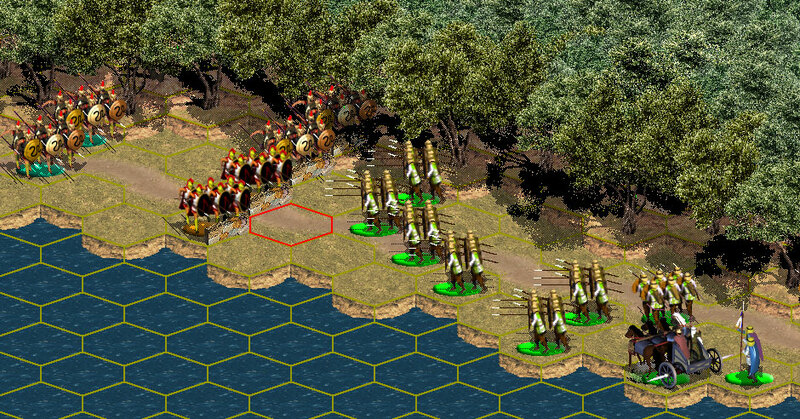 Greek Wars has over 60 scenarios in which Athenians, Spartans, Persians, and many more clash in battles which still resound today. 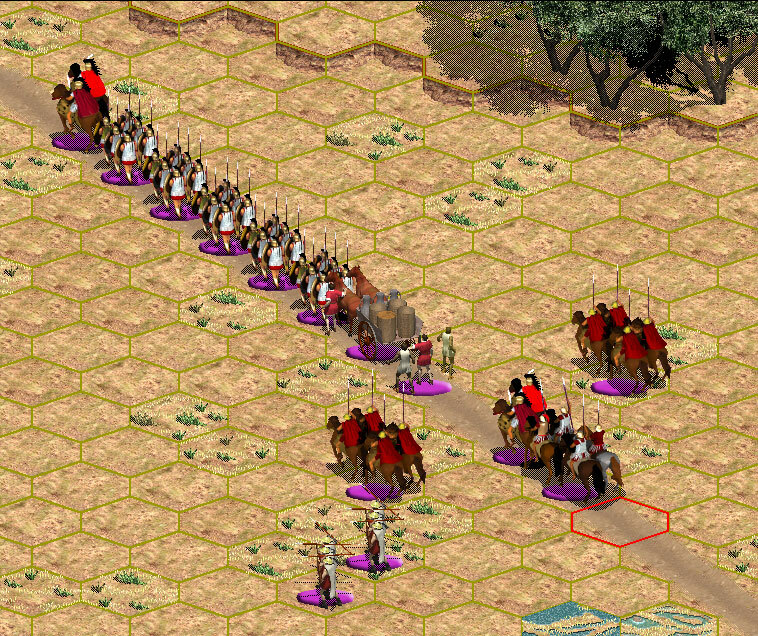 Scenarios allow players to deploy armies of the era using the full range of classical weapons, from infantry spears to bows and various types of cavalry. 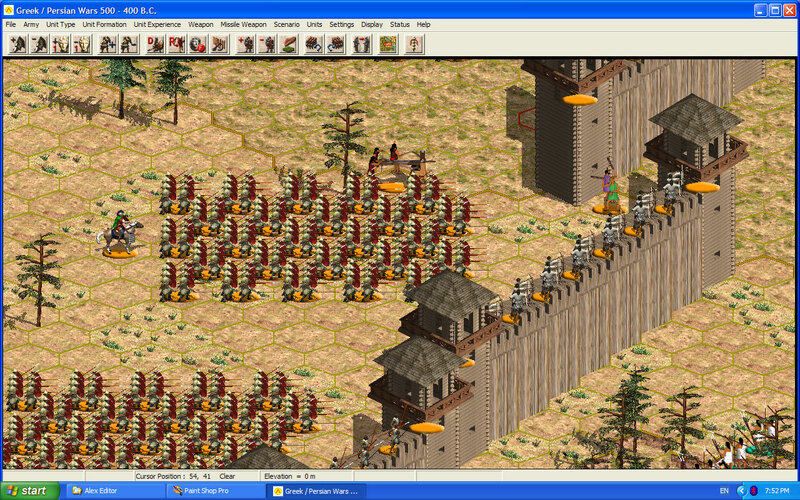 Command anything from the famous 300 Spartans to the mass armies of the Persian empire, 100,000 strong. 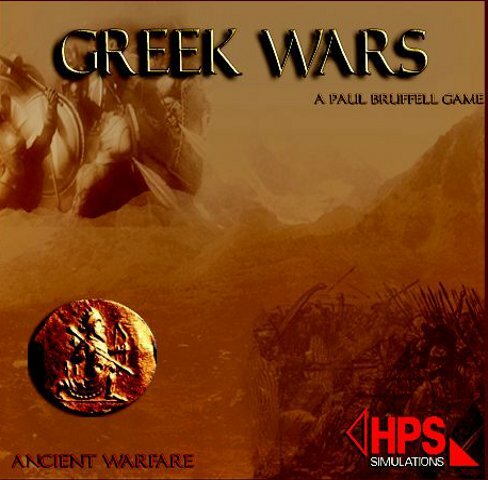 Greek Wars uses the HPS Ancient Warfare engine. This provides a hex based, tactical, plot, simultaneous resolution execution. A game turn is composed of three phases: (1) The player assigns commands to his units (movement, changing formation etc). (2) The program then determines the net effect of these orders as the move is played out. (3) Finally, units move, fire at each other, and engage in melee combat. The players watch the outcome of their decisions as a turn of action unfolds. The game then moves on to the next turn. Game Scale: Each hex represents a distance of 20 meters. 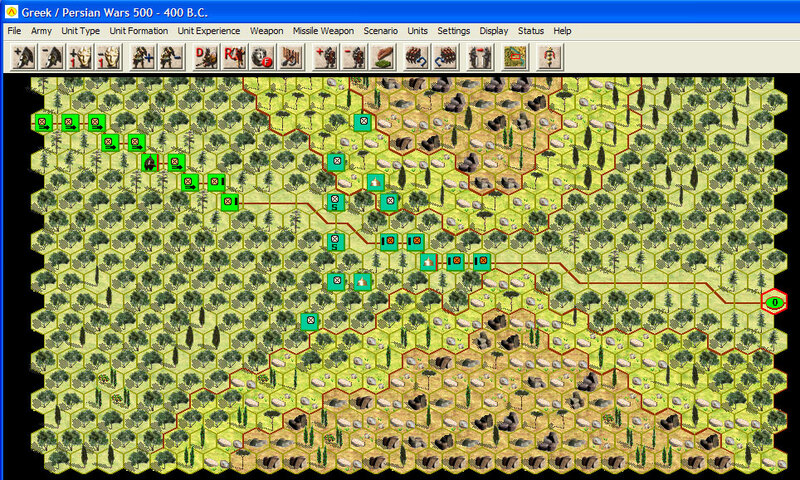 Each turn represents 15 minutes of real time. 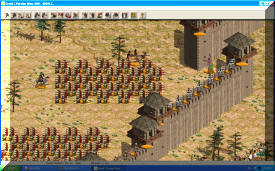 In addition to the main game engine there is also a scenario editor included which allows players to create their own scenarios from scratch, edit existing scenarios, and build their own Order of Battles. Detailed instructions are included on how to use the editors but also on how to calculate points for your army and even how to modify the stock graphics if a player so desires; this latter function is called “Paint your own army”. Covering everything from palisaded camps and fortifications to open plains and mountain passes, 48 maps are included in the game covering both historical and random locations. 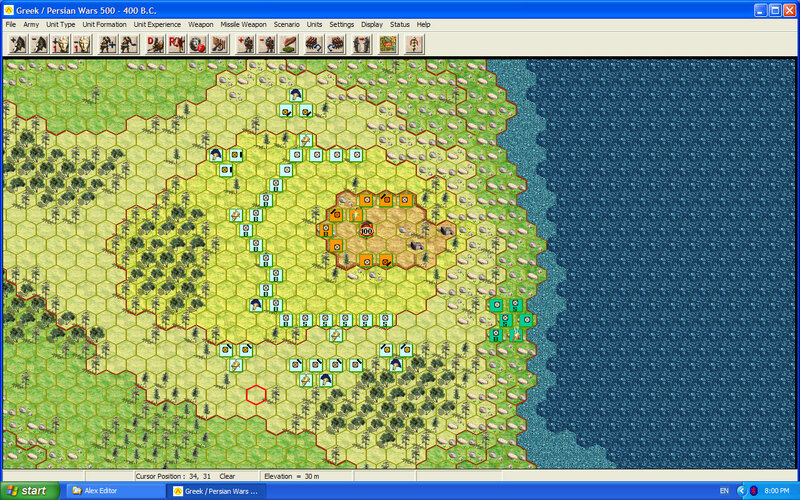 Thus, a large amount of terrain is available for scenario designers to use in creating custom battles. This is the fourth title in the Ancient Warfare series of games and significantly extends the face of simulated warfare. Features include improved skirmishing for light troops, coalition armies whose contingents can change sides, and more realistic Command and Control rules. 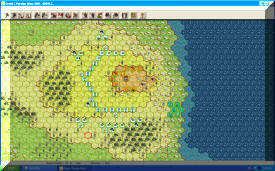 Any nation in the game can combat any other nation, providing for a vast array of battles to be fought. So grab your spear and hoplon and march along with Greek Wars. 1 - Campaign feature. Players can now challenge the A.I. over a series of historical / semi-fictional battles. 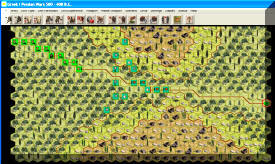 Includes free set-up of army units. 2 - Multiple Commander Option - Option to split army in to wings with independent responses for morale. If the morale of a wing falls below 33% then all units in the wing rout. 3 - Enhanced variety of interface improvements and functionality to assist with game play. 4 - Numerous engine adjustments based on player feedback and continued testing. Want to talk about or get more info info on the Ancient Warfare Games? Swing by the Gladius Blog for tips, tricks, and general information posted by other players.